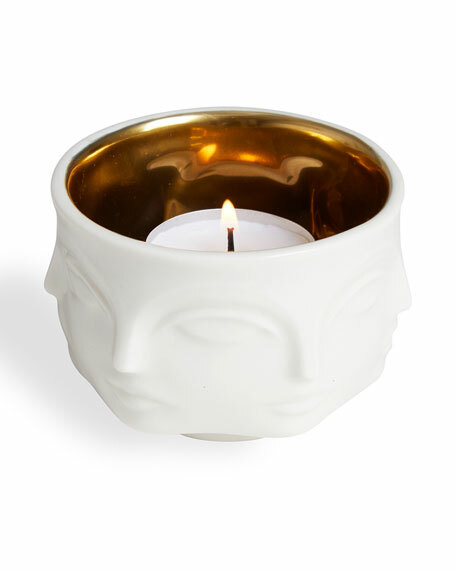 High-fired matte porcelain with a glimmering gold interior, our Muse Votive Holder is perfect for tea lights, salt, fake eyelashes, olive pits, paper clips, or glitter. 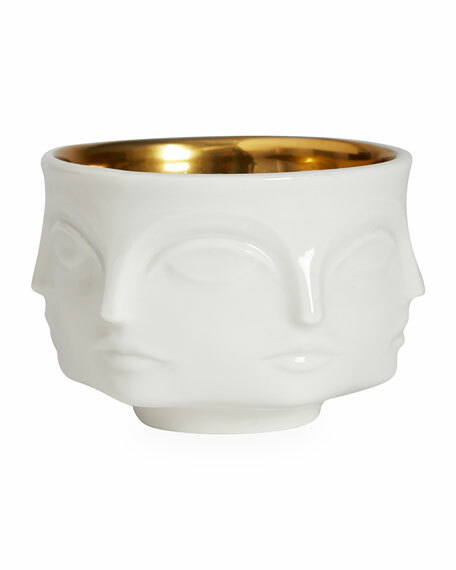 You'd be mad not to have them in every corner of your home. Inspired by Dora Maar, the French photographer, poet, and painter best known for being a lover and muse of Pablo Picasso. Jonathan throws the models for the Muse vessels and then substitutes our signature geometric relief patterns with body partsfaces, breasts, lipsto create a surreal style. 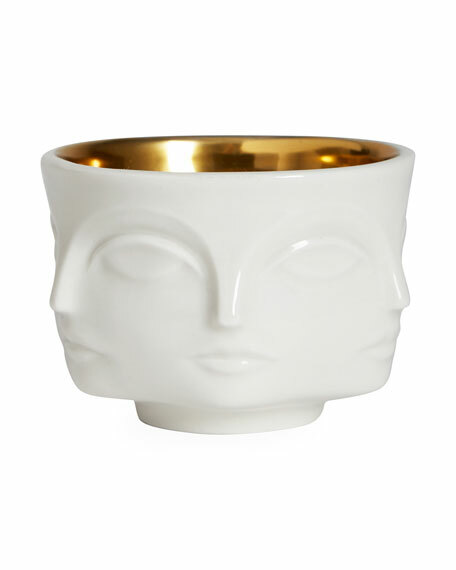 Each piece is made from unglazed matte porcelain to accentuate the forms and is inspired by our favorite artists' muses.